Are you holding a big event, graduation, prom or ball? 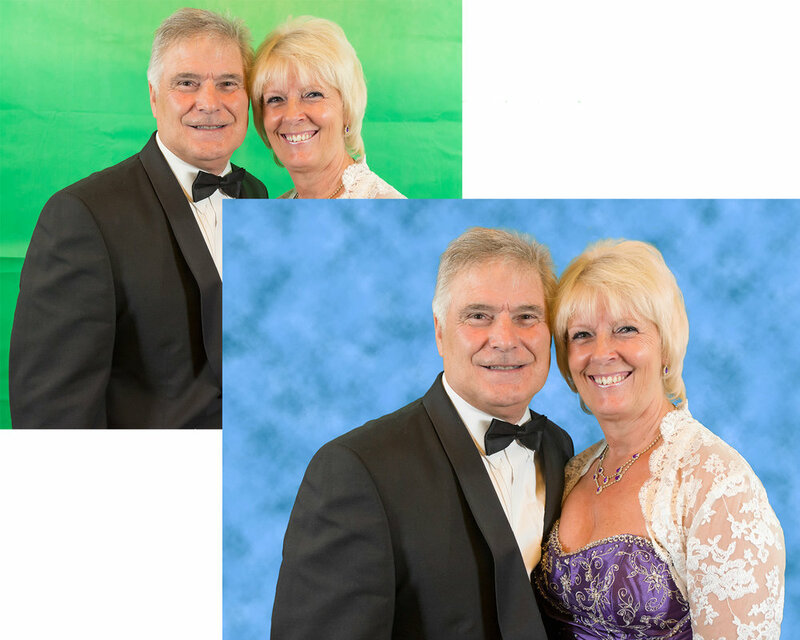 What better way for the event to be remembered, than to have us set up our portable studio to get either formal or relaxed pictures of all the guests! With a choice of backgrounds - including green-screen, and lightning-fast on-site printing, this is sure to capture the spirit of the event. We can be booked in 2 different ways: Pay Per Print, or Pre-Paid by the Organiser. Once we've snapped your guests, they can select their favourite shots; we’ll print them out, they pay (cash, card, Apple Pay), easy! Main advantage: Lower event ticket prices as we won't charge the organiser a penny. All images are uploaded to a dedicated on-line gallery so your guests, their friends and family can purchase digital downloads (which are then e-mailed directly to them) and additional prints for a few months after the event. A really popular option that takes care of all the messy money business in advance of the event. We charge the event organiser a price per head for free unlimited downloads of the evening's images. We can overlay text and logos to personalise the images to your event. Main Advantages: No cash necessary on the night, feels free to the guests.